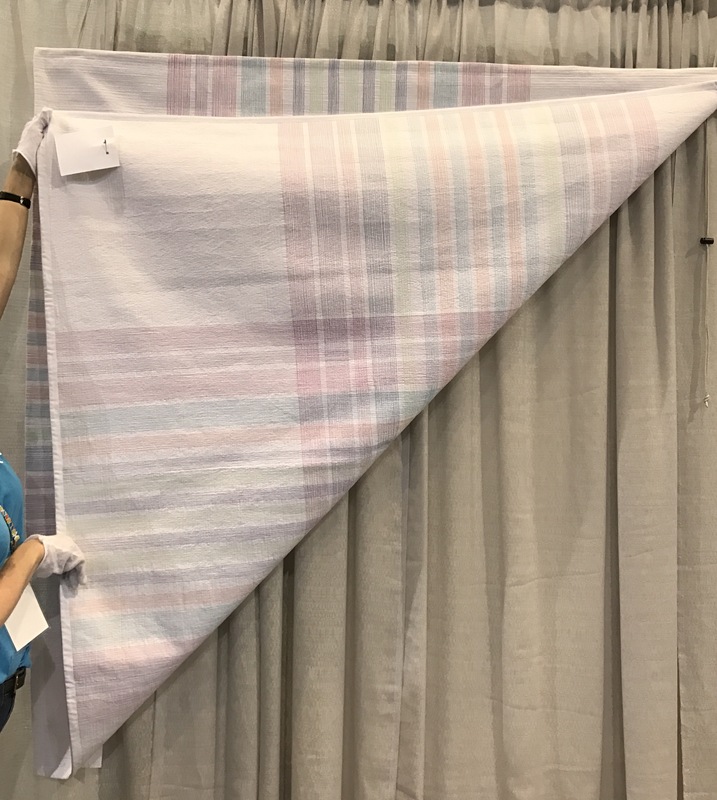 Yesterday I shared some of my favorite quilts from QuiltCon. They were all pieced amazingly well, but the quilting can make or break a quilt. 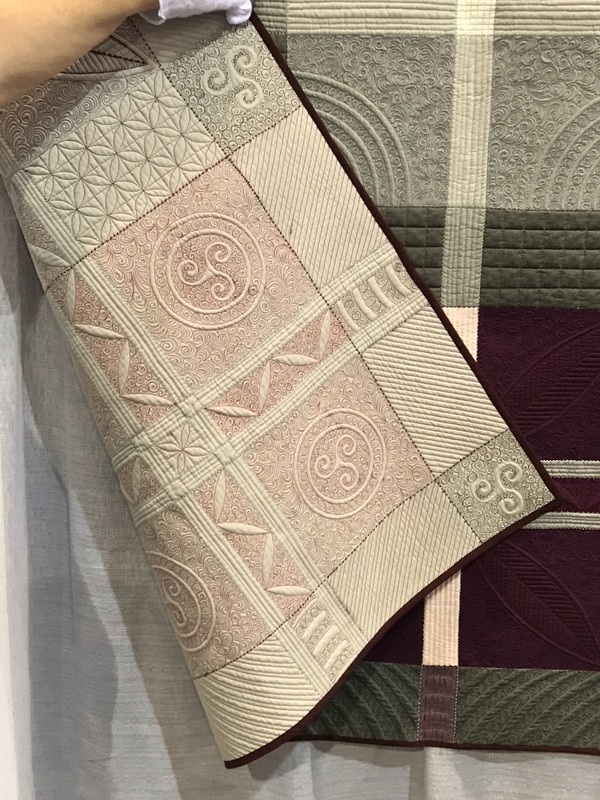 There were several quilts that caught my eye for their extraordinary quilting that dramatically contributed to the overall impact of the quilt. Here goes, in no particular order. 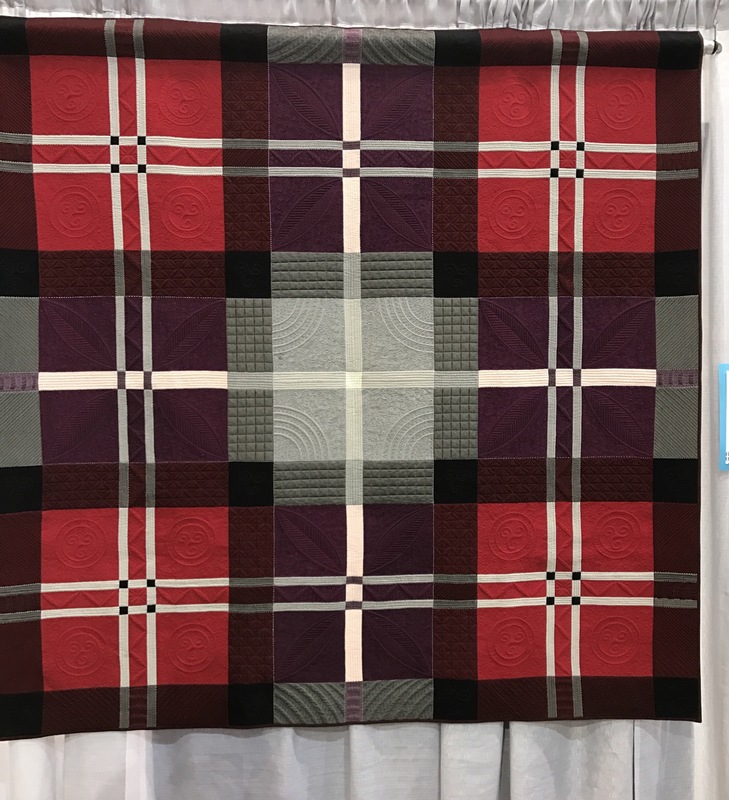 This quilt is awesome and the plaid that the pattern forms is fantastic. The best part? The reality that the heavy lifting is done by the quilting, using different colored of thread to do the heavy lifting. You can see if just as well on the back which really shows the craftsmanship. 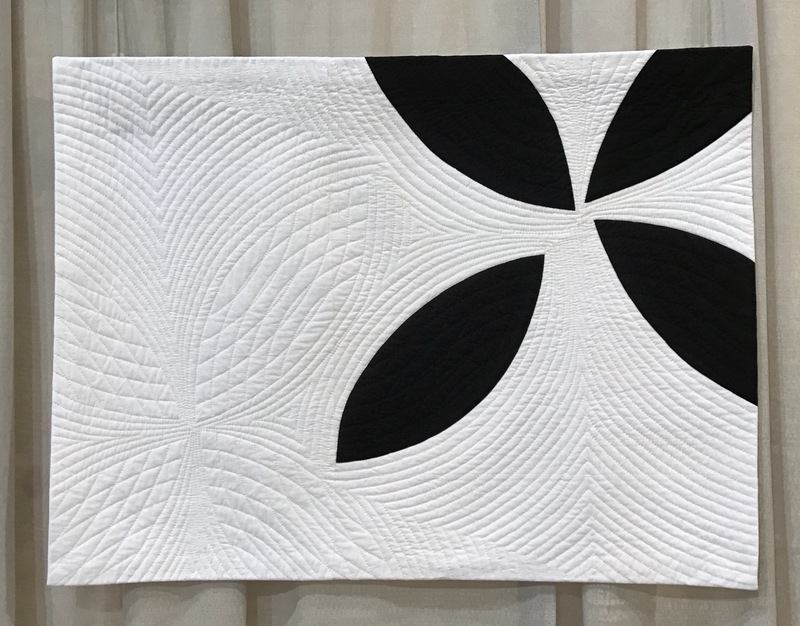 Cassandra Beaver of Ohio did a great job on this quilt, “Infused Plaid,” which ribboned in the Use of Negative Space category. Check her work out at https://www.instagram.com/cassandra.beaver/. 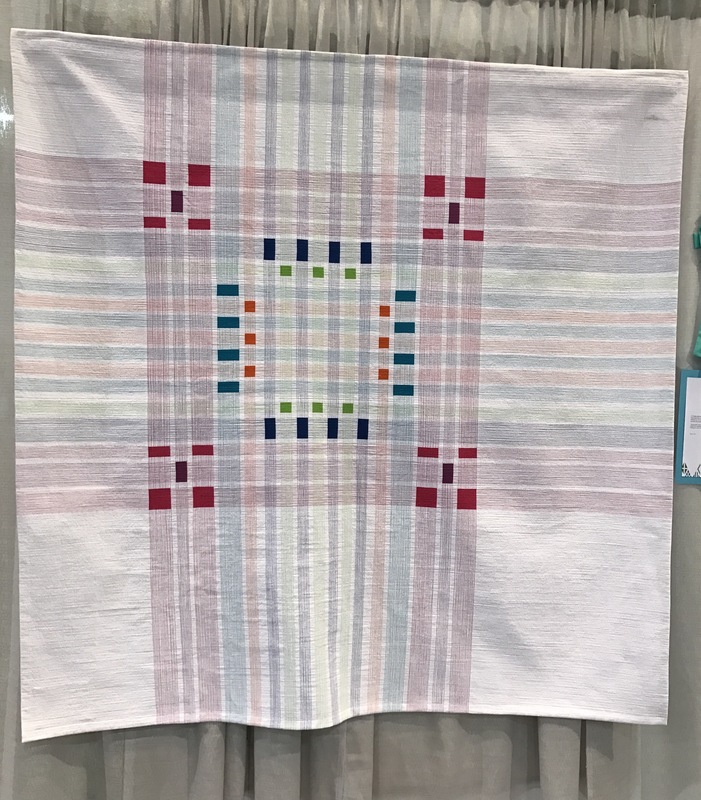 “Tartan Tatoo,” by Linzi Upton of the United Kingdom had inspired quilting. You can tell it is good, but can’t see just how special it is without seeing the back. Her wrote up in the show explains that the quilting is based on Scottish stone carvings. Amazing. 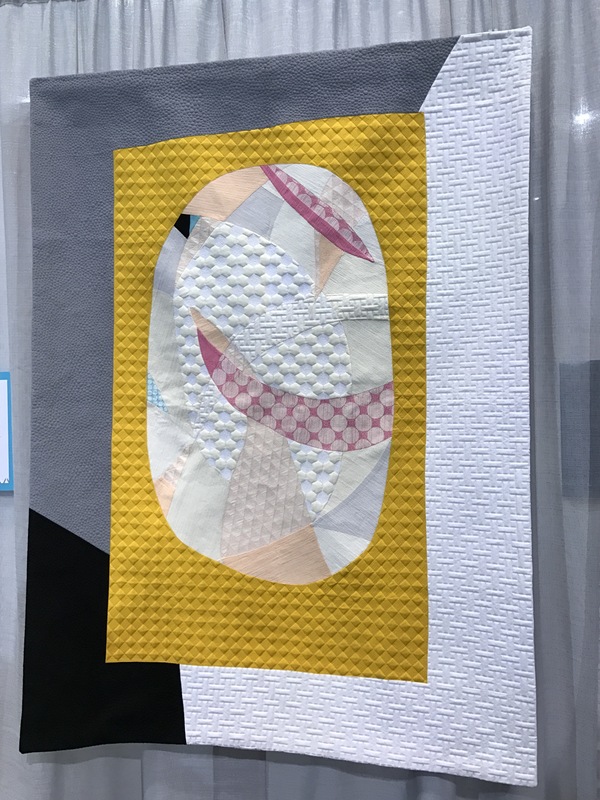 Hillary Goodwin’s “The Egg,” also had fantastic quilting that really transformed the piece. 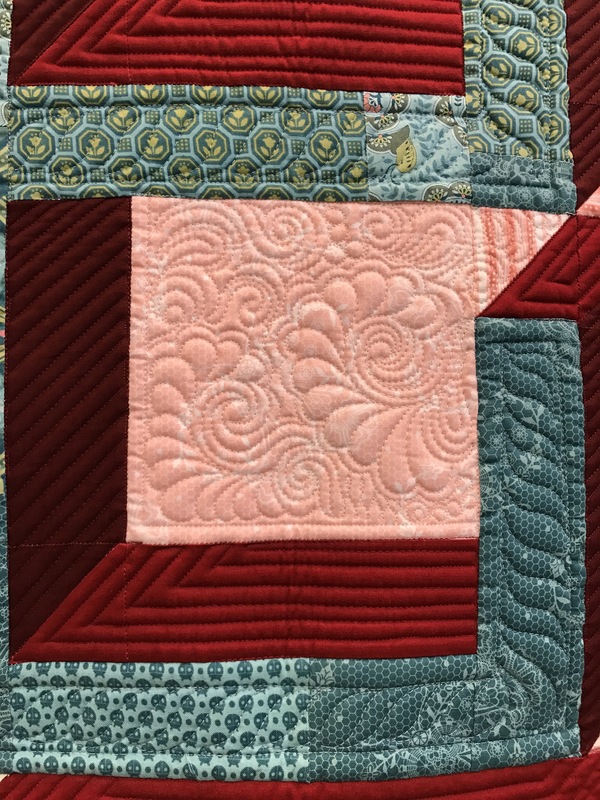 In this quilt, the quilting has almost manipulated the fabric to create new textures and color blocks. 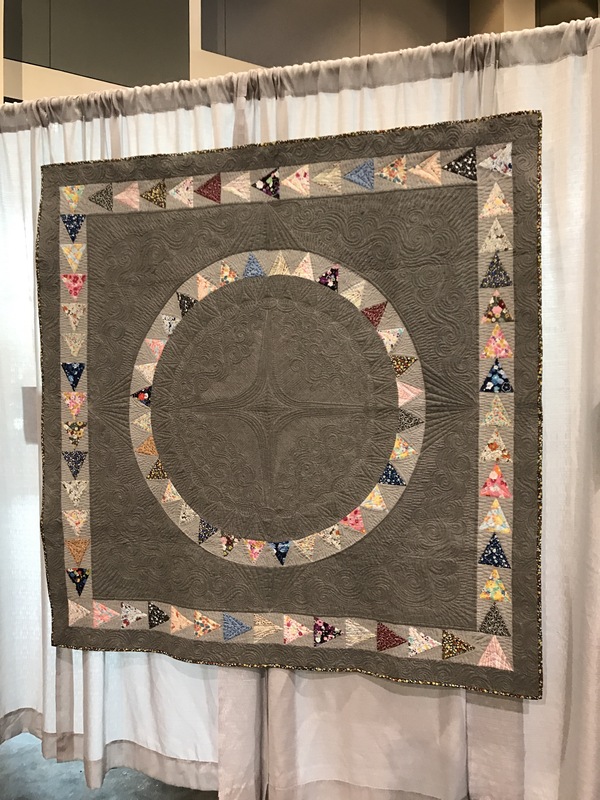 “Ode de Yoshiko,” by Marilyn Farquhar of Ontarion, Canada won a ribbon for the piecing. And make no mistake, the piecing is phenomenal. But I think what really makes this quilt special is the quilting. The detail in every point is precise and brings the design to life. And, the quilting designs are self-digitized. I think she should have gotten two ribbons! Beyond this sampling of the amazing quilting, there was a special exhibit of The Quilts of Angela Walters. The design is tremendous as you would expect and the quilting takes them to the next level. Here are a few that I sparked to. 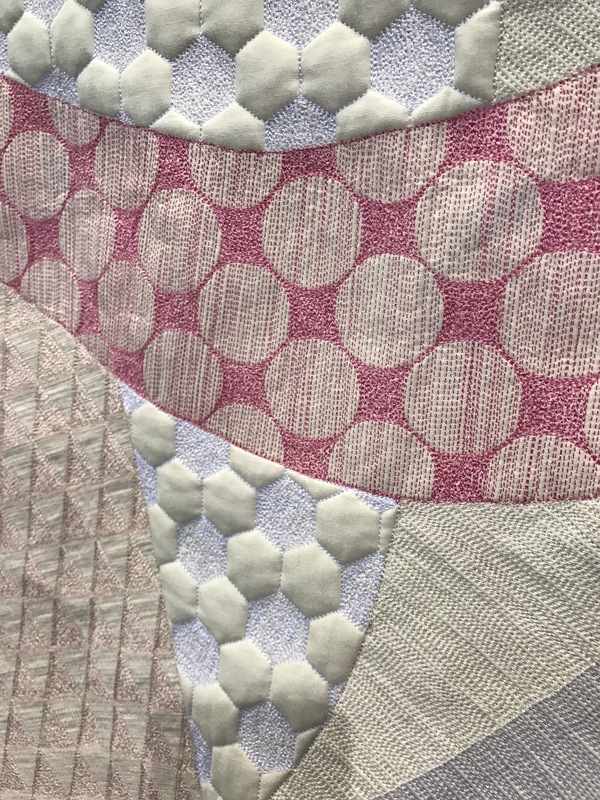 “Reject”was pieced by Tula Pink and quilted by Angela. The intricate details are amazing. Have a closer look. 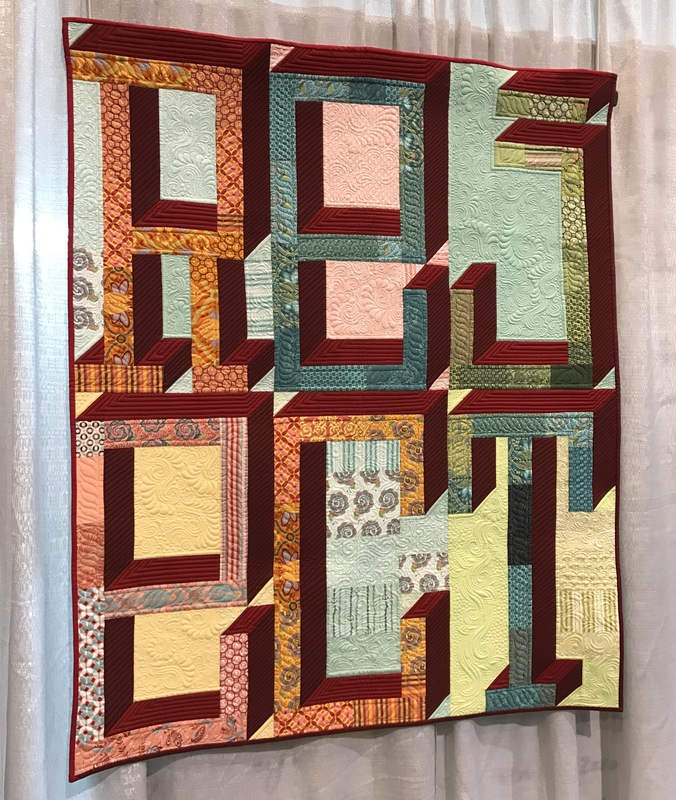 “West End” was pieced by Janice Ryan and quilted by Angela. 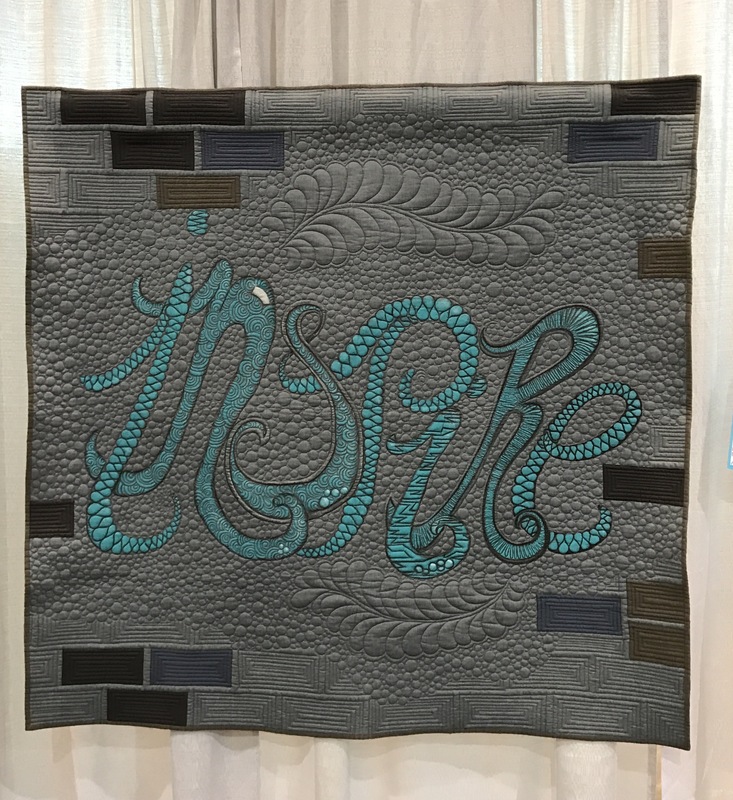 Angela pieced and quilted “Inspire.” It worked. 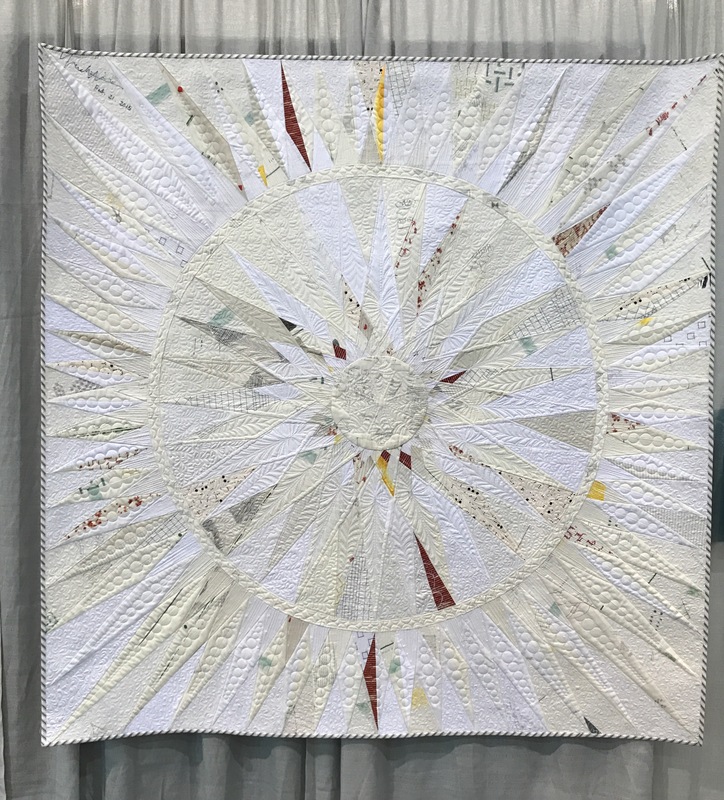 You can learn more about Angela’s work at http://www.quiltingismytherapy.com/. Hoped you liked this snapshot into some of my favorite quilting from the show. Tomorrow I will share perceptions of the Vendor Market and other thoughts. Thanks for visiting!